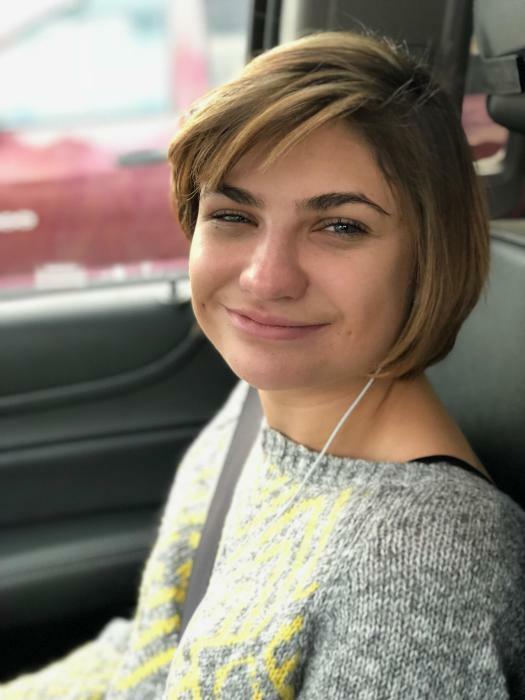 Kaitlyn Brooke Black, 19, of Provo and Manti, passed away February 3, 2019, two weeks short of her 20th birthday, after a life long battle with Leukodystrophy. She was born on February 18, 1999 in Nacogdoches, TX to Russell Avery and Rhonda Jean Holloway Black. Katy was a ray of sunshine who loved to laugh, smile and give the biggest hugs. She loved gymnastics, ladybugs and was a romantic at heart. She loved everyone. Katy was an example of pure Christ-like love. Katy received a certificate from Timpview High School and was currently attending Manti High School. She served in the Humanitarian Center with her grandma where she helped design quilt tops. Katy’s desire was to work in the fashion design industry. Katy is survived by her parents; siblings: Taylor Nichole, Brianna Avery and Luke Christopher Black; step-siblings, Christian and Chase Hernandez; half-siblings, Alexandra and Nicholas Black; grandparents: Gene & Judy Holloway and Lorretta Black. She is also survived by numerous aunts, uncles and cousins. She is preceded in death by her grandfather, Hugh "Buddy" Black.